I believe it's useful to my readers not only to have access to my app reviews, but to have access to reviews according to theme, or in other groups. Accordingly, I've begun a periodic but regular feature where I curate and share my own iPad app reviews and articles. 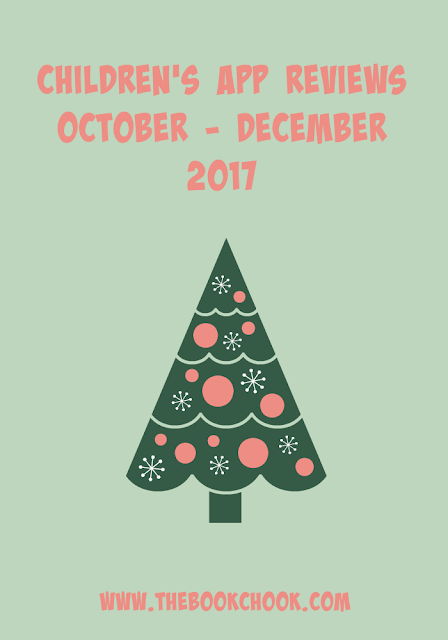 Link through to 2016’s reviews and articles from January - March, and April - June July to September, and October to December. Here are 2017 reviews for January to March, April to June and July to September. You can also check out all the lists I've made on Listly, starting here. The Book Chook will be taking a break until January 24. However each day l’ll be sharing educational things I find and re-find via social media e.g. Twitter and The Book Chook Facebook page, so you’re welcome to follow me there. If this hasn’t completely exhausted you, check out all my iPad App Reviews on Pinterest, and find more apps and articles via my Listly page. Wishing everyone who gets to take a break: a wonderful holiday, and really restful re-charging!